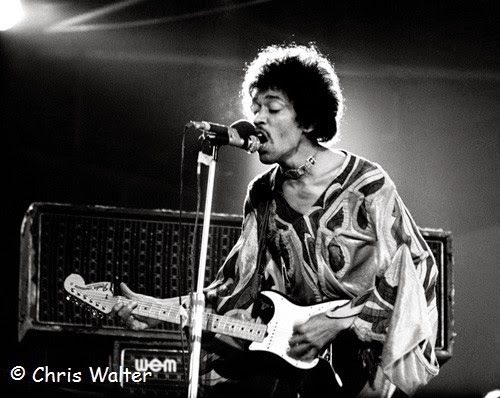 Jimi Hendrix August 1970 at the Isle Of Wight Festival. 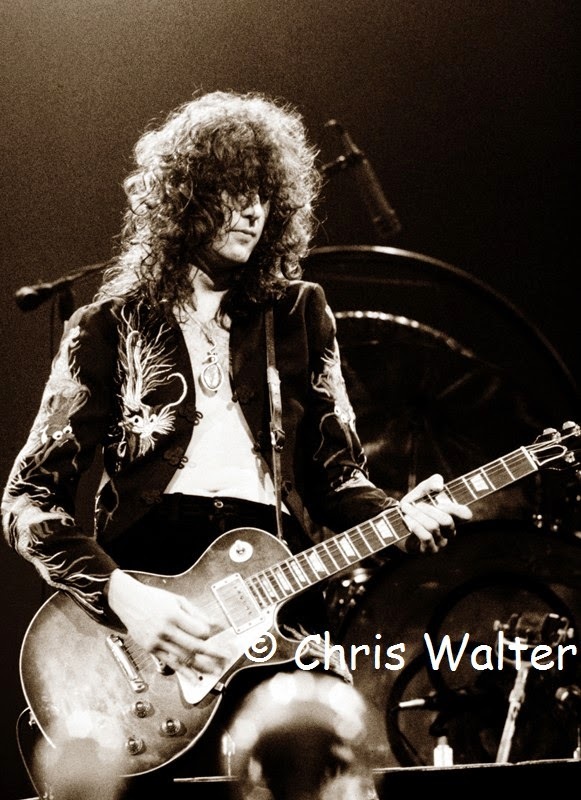 Jimmy Page at Earls Court in 1975. Print is signed on back by photographer.